Here I am, trying new methods to make sure the zillion notes stick inside the corridors of my brain. 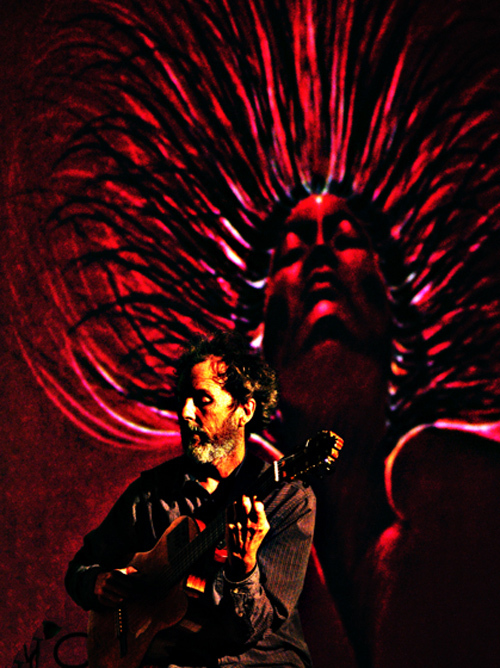 A little later today the ever musically flexible Leonard Patton and I are playing a 1PM show at Mesa College. It’s free and it’s a 1-hour excursion. Maybe you should ditch work for a sec and tell the boss you need some audio caffeine. Tomorrow I’m making it over to the Roxy for some solo guitar. Last week was a hoot and I’m all set for another round of the mysteries inside the wooden box. See ya there! I’ve got a few library gigs coming up and for these I’ll be playing solo guitar along with a few of my favorite digital friends. They sit idle on the floor and patiently wait for me to tap them into action. Then they either behave or misbehavejust like 6-year-old kids! Come and see the family dynamics whirling around in limbo. I’ll be in El Cajon on Saturday afternoon and then in Encinitas on Monday night. The mysteries inside the wooden box played on the dark side of the moon. On Saturday evening I’m joining forces with low-end avatar Bob Magnusson along with Duncan Moore for a night of music at Harry’s Bar and Grill in the UTC area. It’ll be a fun night with two of my all-time favorite musos. 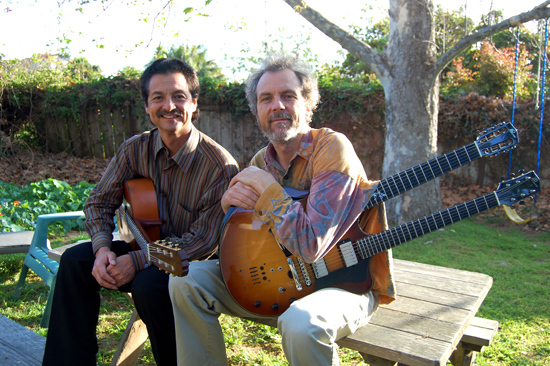 The week rounds out with a duo show at the Paper Moon in Point Loma with fellow guitarist Fred Benedetti. 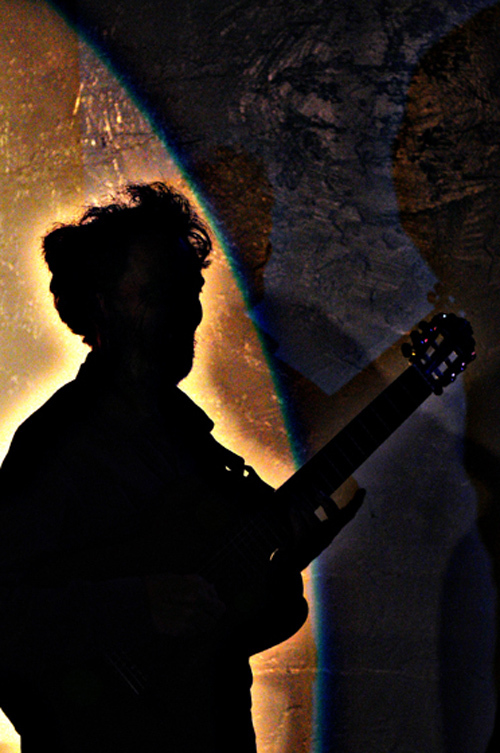 Fred possesses the most beautiful sound and he earned it through years of devoted practice. Mix that in with a wonderful spirit for life and you’ve got a musician telling a unique story. I can’t wait to see what we brew up this time. Look below for the details on the concert and we hope to see you there! That's Fred on the left and me on the right. Collective organic bandwidth factory models ready to spring into action! 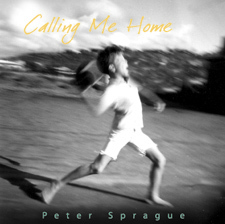 Looking into the fast approaching future, coming up next week, we’re rounding up the tribe to explore the new songs from my Calling Me Home cd. We’ve got 9 musos lined up to bring the tunes into vivid color and we’re hoping you can make it out to share in the weird and wild vibes of the Tango del Rey. It’ll be a special night! Look below for the fine print. Fred Benedetti 7 PM Fred and I will play a concert in this cool little spot in the Ocean Beach / Point Loma area. Really fun!